Chlormayenite: Mineral information, data and localities. Originally assumed to be Ca12Al14O33. 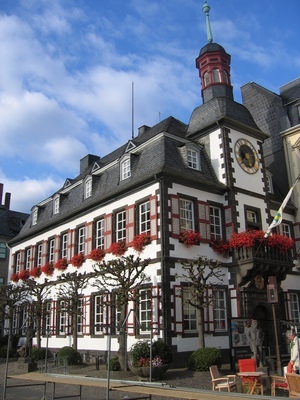 Originally named after the type locality, (near) Mayen, Eifel, Germany. Renamed chlormayenite in 2013 (IMA 13-C). The Cl analogue of fluormayenite and vacancy analogue of chlorkyuygenite. The Mayenite Supergroup was revised in 2013 (IMA 13-C); as a consequence, the mineral brearleyite has been discredited as being the same as chlormayenite; mayenite has been redefined and renamed chlormayenite; kyuygenite has been renamed chlorkyuygenite. See also Galuskin et al. (2009, 2010). Note that synthetic pure Ca12Al14O33 is known, but it is stabilised by moisture; the content of water reaches a maximum of 1.3% at ~950°C and is present as OH groups. The composition of this phase is best described as Ca12Al14O32(OH)2 (Nurse et al., 1965a,b). Cell parameter ranges from 11.97-12.02 A. Former "chlormayenite" (IMA2010-062) has a = 11.9794 A. Data for former "chlormayenite" (IMA2010-062). Smithsonian Institution’s National Museum of Natural History, Washington, D.C., USA: USNM 7590. (former chlormayenite, IMA2010-062). 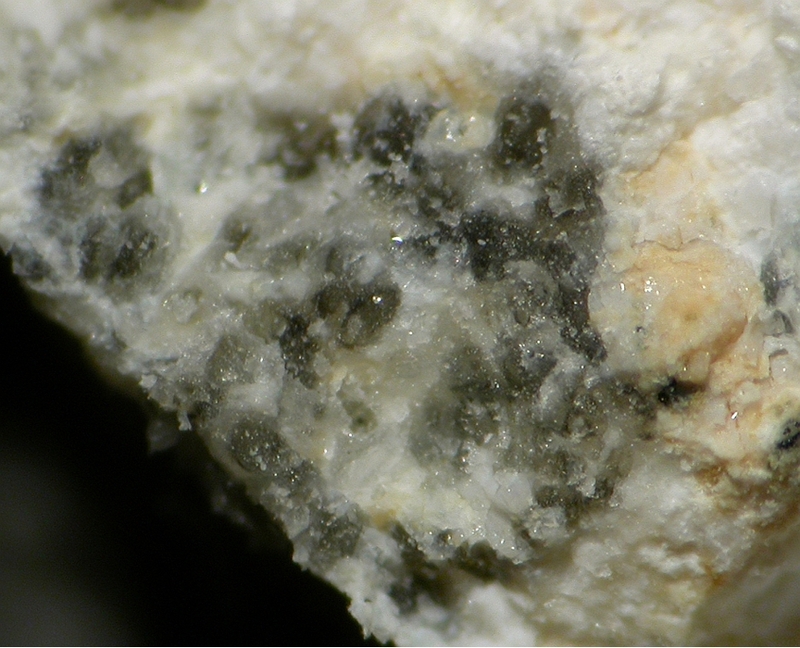 Gallian Chlormayenite May bear up to 3.17 wt.% Ga (i.e., max. 4.26 wt.% Ga2O3). Calcite 2 photos of Chlormayenite associated with Calcite on mindat.org. Lakargiite 1 photo of Chlormayenite associated with Lakargiite on mindat.org. Spurrite 1 photo of Chlormayenite associated with Spurrite on mindat.org. Büssem, W.; Eitel, A. (1936): The structure of pentacalcium trialuminate. Z. Kristallogr. 95, 175-188. Hentschel, G. (1964): Mayenit, 12CaO.7Al2O3, und Brownmillerit, 2CaO. (Al,Fe)2O3, zwei neue Minerale in den Kalksteineinschlüssen der Lava des Ettringer Bellerberges: Neues Jahrbuch für Mineralogie, Monatshefte (1964): 22-29. American Mineralogist (1965): 50: 2106. Nurse, R. W., Welch, J. H., Majumdar, A. J. (1965a): The 12CaO.7Al2O3 phase in the CaO-Al2O3 system. Trans. Brit. Ceram. Soc. 64, 323-332. Nurse, R. W.; Welch, J. H.; Majumdar, A. J. (1965b): The CaO-Al2O3 system in a moisture-free atmosphere. Trans. Brit. Ceram. Soc. 64, 409-418. Brisi, C., Borlera, M. L. (1983): Excess oxygen in calcium aluminate (12CaO.7Al2O3) and related phases. Cemento 80, 155-164 (in English and Italian). Christensen, A. N. (1987): Neutron powder diffraction profile refinement studies on Ca11.3Al14O32.3 and CaClO(D0.88H0.12). Acta Chem. Scand., A41, 110-112. Datta, R. K. (1987): Thermal expansion of calcium aluminate (12CaO..7Al2O3). Journal of the American Ceramic Society 70, C/288-C/291. Edmonds, R. N.; Majumdar, A. J. (1988): The hydration of calcium aluminate (12CaO.7Al2O3) at different temperatures. Cement and Concrete Research 18, 473-478. Feng, Q. L., Glasser, F. P., Howie, R. A., Lachowski, E. E. (1988): Chlorosilicate with the 12CaO.7Al2O3 structure and its relationship to garnet. Acta Crystallogr., C44, 589-92. Glasser, F. P. (1995): Comments on wadalite, Ca6Al5SiO16Cl3, and the structures of garnet, mayenite and calcium chlorosilicate. Addendum. Acta Crystallogr. C51, 340. Patsiogiannis, Filippos; Pal, Uday B.; Chou, Kuo-Chih (1996): Incorporation of chlorine in a secondary steelmaking slag based on the CaO-Al2O3-SiO2 system. ISIJ International 36, 1119-1126. Park, C. -K. (1998): Characteristics and hydration of C12-xA7x(CaF2) (x = 0 ~ 1.5) minerals. Cement and Concrete Research 28, 1357-1362. Luis Palacios, Ángeles G. De La Torre, Sebastián Bruque, Jose L. García-Muñoz, Santiago García-Granda, Denis Sheptyakov, and Miguel A. G. Aranda (2007): Crystal Structures and in-Situ Formation Study of Mayenite Electrides. Inorg. Chem., 46, 4167-4176. Boysen, H., Lerch, M., Stys, A., Senyshyn, A. (2007): Structure and oxygen mobility in mayenite (Ca12Al14O33): a high-temperature neutron powder diffraction study. Acta Crystallographica, B63, 675-682. Bailau, R., Galuskin, E.V., Gazeev, V.M. & Pertsev, N.N. (2010): Classification and potential new minerals in the “mayenite group”. 20th General Meeting of the IMA (IMA2010), Budapest, Hungary, August 21-27, CD of Abstracts, p. 493. Ma, C., Sweeney Smith, S.A., Connolly, H.C., Beckett, J.R., Rossman, G.R., Schrader, D.L. (2010): Discovery of Cl-bearing mayenite, Ca12Al14O32Cl2, a new mineral in a CV3 Meteorite. 73rd Annual Meteoritical Society Meeting, 2010, 5134.pdf. Ma, C., Connolly, Jr., H.C., Beckett, J.R., Rossman, G.R., Kampf, A.R., Zega, T.J., Tschauner, O., Sweeney Smith, S.A. and Schrader, D.L. (2010) Brearleyite, IMA 2010-062. CNMNC Newsletter No. 7, February 2010, page 31; Mineralogical Magazine, 75, 27-31. Ma, C., Connolly, Jr., H.C., Beckett, J.R., Tschauner, O., Rossman, G.R., Kampf, A.R., Zega, T.J., Sweeney Smith, S.A. and Schrader, D.L. (2011): Brearleyite, Ca12Al14O32Cl2, a new alteration mineral from the NWA 1934 meteorite. American Mineralogist, 96, 1199-1206. T. Sakakura, K. Tanaka, Y. Takenaka, S. Matsuishi, H. Hosono and S. Kishimoto (2011): Determination of the local structure of a cage with an oxygen ion in Ca12Al14O33. Acta Crystallogr. B67, 193-204. Galuskin, E.V. ; Kusz, J.; Armbruster, T.; Bailau, R.; Galuskina, I.O. ; Ternes, B.; Murashko, M. (2012): A reinvestigation of mayenite from the type locality, the Ettringer Bellerberg volcano near Mayen, Eifel district, Germany. Mineralogical Magazine, 76, 707-716. Hentschel, G. (1978): Seltene Minerale in Calcium-reichen Auswürflingen vom Bellerberg bei Mayen/Eifel, Aufschluß 29, 77-83; EMPA data, Sharygin V.V. (personally collected); Galuskin, E.V. ; Kusz, J.; Armbruster, T.; Bailau, R.; Galuskina, I.O. ; Ternes, B.; Murashko, M. (2012): A reinvestigation of mayenite from the type locality, the Ettringer Bellerberg volcano near Mayen, Eifel district, Germany. Mineralogical Magazine, 76, 707-716. Shulamit Gross (1977) The mineralogy of the Hatrurim Formation, Israel. Geol. Surv. of Israel, Bull. # 70.; Sharygin, V.V., Sokol, E.V. & Vapnik, Ye. (2008): Minerals of the pseudobinary perovskite-brownmillerite series from combustion metamorphic larnite rocks of the Hatrurim Formation (Israel). Russian Geology and Geophysics 49, 709-726. Shulamit Gross (1977) The mineralogy of the Hatrurim Formation, Israel. Geol. Surv. of Israel, Bull. No. 70. Sokol, E. V., Kokh, S. N., Khoury, H. N., Seryotkin, Y. V., & Goryainov, S. V. (2016). Long-term immobilisation of Cd 2+ at the Tulul Al Hammam natural analogue site, central Jordan. Applied Geochemistry, 70, 43-60. 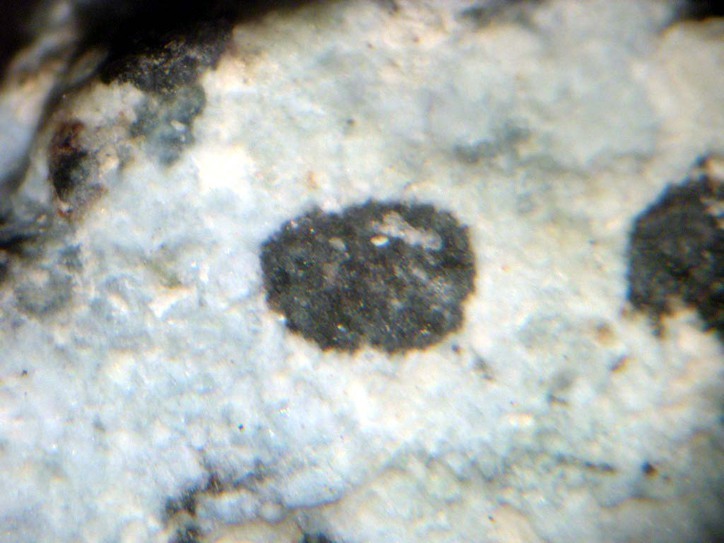 Chesnokov, B. V. (1993): Mayenite from the Chelyabinsk coal basin (the first occurrence in Russia). Doklady Akademii Nauk 331, 597-598 (in Russian). ; Cesnokov, B., M. Kotrly, and T. Nisanbajev (1998): Brennende Abraumhalden und Aufschlüsse im Tscheljabinsker Kohlenbecken - eine reiche Mineralienküche. Mineralien-Welt, 9 (3), 54-63 (in German).